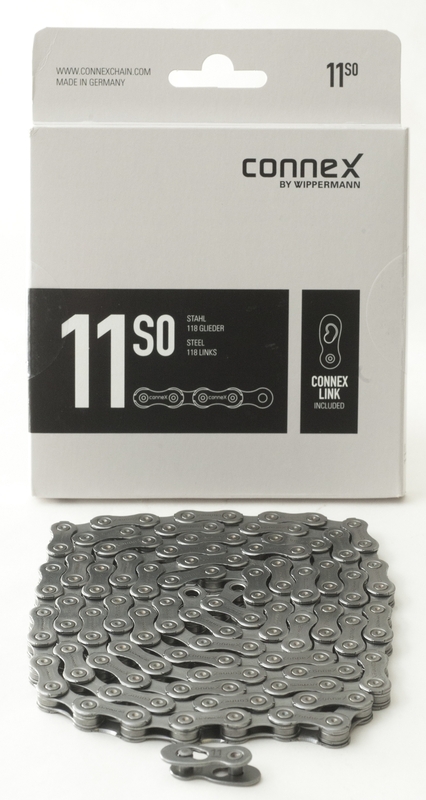 Thats right - the Connex 11s0 chain works perfectly with all 11-speed Shimano, SRAM, and Campagnolo systems. The new extensively chamfered outer plates ensure rapid and silent shifting on all systems. And the "Speed Wing" outer plate shape reduces chain weight by 20%. And, as with every Connex chain, shifting feedback is positive and immediate. 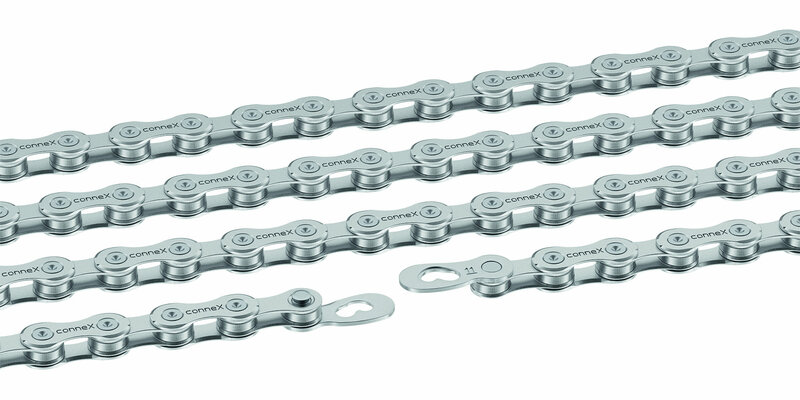 Every Connex chain comes with the famous Connex link. 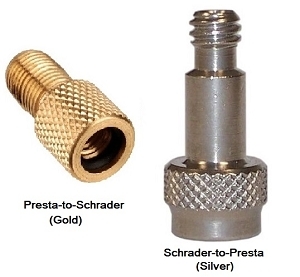 Precision manufactured in Hagen, Germany. The 11s0 also works perfectly on 1x11 set-ups and shifts even more quietly than some system-specific chains. -"The Connex 11s0 worked flawlessly for 700 miles of riding — mostly cyclocross, including 14 races. The shifting was on par with any Shimano, KMC, or SRAM chain we’ve used before." -Spencer Powlison, VeloNews. Read the full review at Velonews.com. 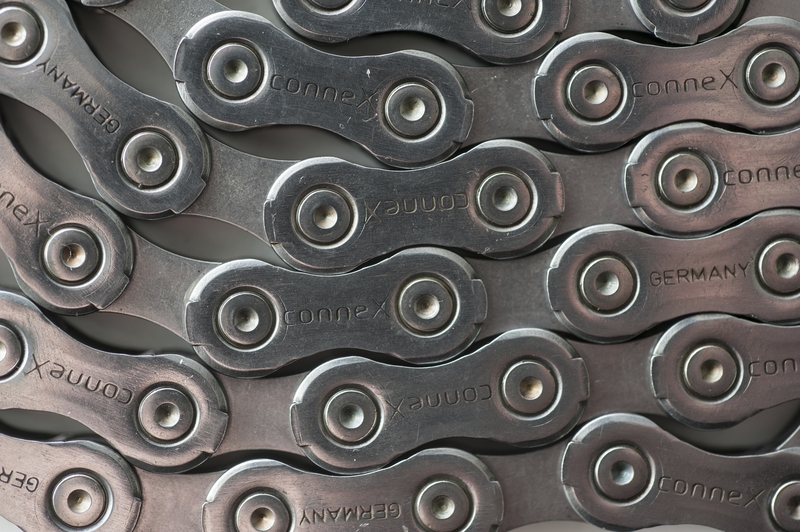 - Michael Hotten of RedKitePrayer.com replaced a Shimano DA 9000 chain with a Connex 11s0. "The Connex moves between cogs no faster than the 9000. What it does offer is a more positive feel. The German chain responds to rear derailleur movements with a “click” as it moves to a new cog. If you are all into that buttery, Shimano feel, this may not be a plus. But in rough conditions or during hard efforts, I appreciated getting the feedback." Read this great review from RedKitePrayer.com. 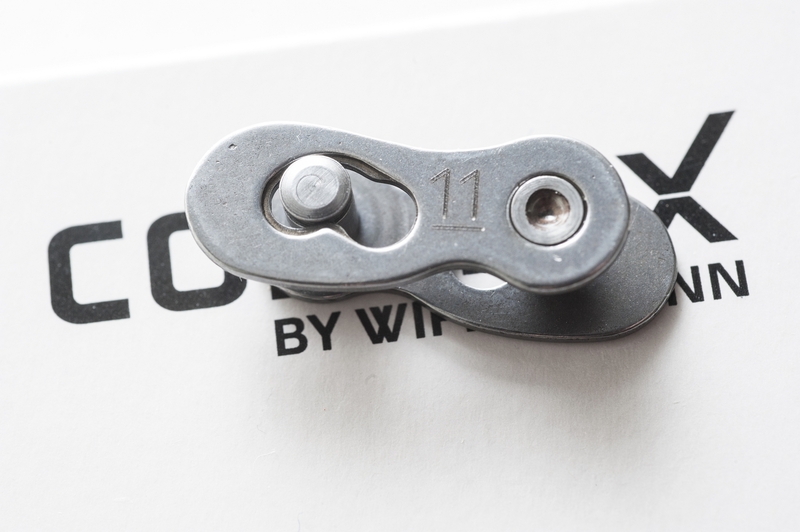 - Dan Empfieldof Slowtwitch.com calls it "the equal of Shimano's Dura-Ace chain." Read the Slowtwitch.com review.